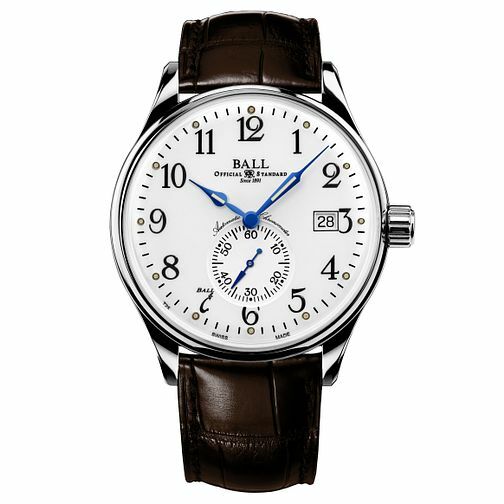 Taking inspiration from old stopwatches and timers used at train stations of years past, the Ball Trainmaster features rounded Arabic Numerals and large hands that evoke the feeling of a grandfather clock. The subdial helps you track 60 seconds and is secured with a vintage brown leather strap. Swiss-made for years of precision in watchmaking.